It’s been amazing to see all the support that Amal Unboundis getting. I began this novel in 2011. I had no way of knowing that by the time publication day would come, a story about a Pakistani girl in the Punjab and her struggles would seem so relevant and would connect so much with people today. But that’s what I am hearing time and again. In the era of the Black Lives Matter Movement, a book like Something Happened In Our Town. The American Psychological Association’s Magination Press released the 32-page graphic novel about how a Emma, white gradeschooler, and a black boy the same age named Josh see the police shooting of unarmed black man through discussions in their families.Child’s Story About Injustice is inevitable. So, kudos to first-time children’s authors Marianne Celano, Marietta Collins, Anne Hazzard, and illustrator Jennifer Zivoin. Click the link above for indepth information and to see a sample. “Why did the police shoot that man?” the girl asks to begin a discussion that tries to explain actions by law enforcement and issues of race in the United States. “Can police go to jail?” the boy asks his mother that spreads into a conversation many black parents say they have with their sons. The publisher states, “The story aims to answer children’s questions about such traumatic events, and to help children identify and counter racial injustice in their own lives.” The colorful work also includes notes and other background information to help adults begin talks with young people about racism and injustice. Celano, Collins and Hazzard say they have read many stories to their children. The psychologists have worked together for more than twenty years as Emory University School of Medicine faculty members that focus on children and families in Atlanta. Zivoin, an established graphic artist who lives in Indiana, loves to tell stories, too. Here’s a scoop on a new book by a talented author, Kellianne Sweeney, a fourth-grade teacher at Andover Elementary in Orlando, Florida. Hers is the first work other than mine issued from Elephant Eye, my Children’s book publishing outfit. She is a Columbus, Ohio native, but currently lives in Orlando, where there are plenty of beaches, palm trees, sunshine and not the merest suggestion of snow. She has called many states, including New York, New Jersey, Washington, California, Texas, Virginia and Florida home. Most of her adult life, Sweeney has been as a teacher, which, along with roles as mother and wife, she finds an important channel for her energies. The author believes that imagination and creativity are what makes life three-dimensional. The core of Eggsplats and Mudpie Rainbows is a series of poems, wistful reflections and observations on life as might come from the mind and heart of a child. Watch as she showcases the book’s pages in a Literacy Week video presentation. after the author turned 50, seemed an odd fit with the second. That was an inspirational work, Divine Appointments, published in July 2015. That is why a few months ago when I stumbled onto a sample of Nana and the Howling Brothers , third volume in her Nana Files series, I had to share the delight. That 92-page middle grade reader combined with the previous saga Nana and the Zombies, and the first roll out the adventures Cindy and her BFF Becky, small-town, junior high students with a fascination for a new neighbor boy. The hitch is he might be a vampire. Green likens her books to the middle school stories in by Beverly Cleary’s many works, such as the Ramona Collection or James Patterson’s eight-volume Middle School series. True. 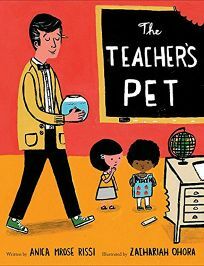 At the same time, the author has a style and sense of characters that make the attraction of her targeted fifth-to-eight-grade readers a cinch. Cindy and Becky find themselves on the trail of boys again trapped at a Halloween dance under threat from the flu, a vengeful kid named Rodney and zombie prisoners in the Nana and the Zombies. The good news is they end up with boyfriends, yet grounded. Cindy vows to stay on the straight and narrow, but the Howling Brothers peak the girls’ curiosity. When they see the guys move into the creepiest house on Cemetery Road, the pair is off into what the author says is “their scariest, dumbest and coldest” adventure. There is more. Stone Survival chronicles the struggles of a Christian family on the first day of the Apocalypse. “I’m excited about these books,” she writes. Those who visit cyndygreenbooks.com can learn about them. Dreamer, is a word so often heard these days that it might be hard to recall how much a concern for others’ imaginations ought to make us pay more attention to our own. The Curious Dreamer’s Practical Guide to Dream Interpretation takes readers on a practical path to capture the strength of what might lie beneath conscious thought. Wagaman, creator of The Curious Dreamer’s Dream Dictionary (TheCuriousDreamer.com) and has written extensively on applied psychology, intuition, and other personal growth topics. states that her book differs from others on the topic because it offers a unique approach to dream interpretation. She urges readers to apply analysis and intuition to explore dream meaning, the choose from 25 exploratory analysis techniques. Afterward, to deal with issues brought up by the dream, readers may select from 15 transformative techniques such as forgiveness, acceptance, and reframing, to aid healing, or follow through with appropriate action. I don’t know whether I am jaded, or too accustomed to preachers who push Progressive thought, but Kilns College President Ken Wytsma’s first book, Pursuing Justice: The Call to Live and Die for Bigger Things escaped my interest. Thomas Nelson Publishers premiered the 344-page work, written with the aid of David “D.R.” Jacobsen, in 2013, which Publisher’s Weekly described as “one of the new breed of evangelical Christians returning to scripture to redeem justice as a central tenet of faith.” Well, he is back. Coauthors L.T. Vargus and Tim Mc Bain, who came up with the intense Awake in the Dark and Scattered and the Dead series are back with Dead End Girl, a thriller about a serial killer set to launch within weeks. They also have a new sleuth, rookie FBI agent Violet Darger, inspired by the authors’ reads of Thomas Harris’ Red Dragon. A brilliant serial killer stalks women in rural Ohio, dubbed by the press as “The Doll Parts Killer.” His victims are dismembered and left in garbage bags in public places such as residential neighborhood, outside a roller rink, and behind a Burger King.The investigation is a disaster. No physical evidence. Unreliable witnesses. To make matters worse, the FBI has lost contact with the star profiler working the case. Enter Darger. As in Chris Chibnail’s crime drama Broadchurch aired on the BBC, the crime fighter Darger is a tortured soul on the edge with losses and secrets of her own. Her last case ended with a dead 16-year-old girl. Darger still has nightmares and panic attacks. The detective she faces an aggressive, territorial killer unlike anything she’s seen. The victims harbor dark secrets. The clues twist and writhe and refuse to keep still. If she fails, the madman will kill again and again. He watches the investigation on the nightly news, gleeful to relive the violence, knowing that he can’t be stopped. From the nationally syndicated cartoonist of In the Bleachers, Steve Moore, comes a new middle-grade series about a kid named Steve, who plays the same position in every sport: benchwarmer. Perfe ct for fans of Diary of a Wimpy Kid and Timmy Failure, King of the Bench is an ode to teammates, underdogs, and benchwarmers everywhere. Steve is King of the Bench. No brag. It’s just a fact. But this year Steve and his friends are excited to try out for the Spiro T. Agnew Middle School baseball team. The only problem is, after watching another player get beaned by a fastball, Steve has developed a serious case of bean-o-phobia – the fear of getting hit by a pitch. If Steve ever wants to get off the bench and get in the game, he’s going to have to muster up some courage, and fast. Oh, and if you’re wondering why Steve would write a book and tell total strangers all about the humiliating phobia that almost ruined his first year on the baseball team? Duh. It’s pretty much a rule that you spill your guts when you write a book about yourself. For more information.